A criminal background check of Abdi Ali, who was taken into custody at the Cumberland County Courthouse on Thursday, shows two assault convictions, among other offenses. The Somali man who was detained Thursday in Portland by federal immigration officials has a long record of misdemeanor offenses, a criminal background check shows. 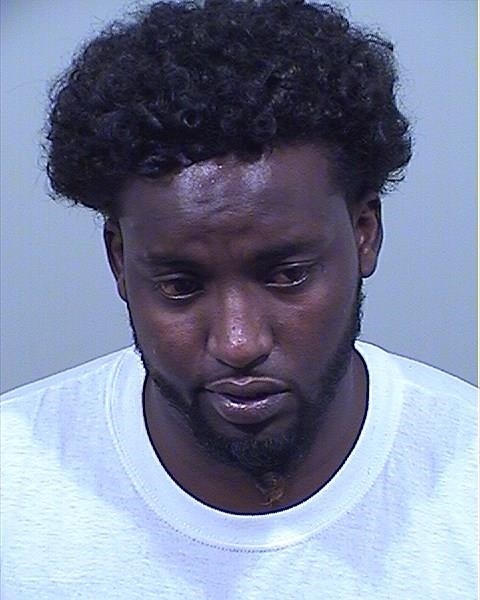 Abdi Ali, 28, of Westbrook was first charged with a crime in Maine in 2009. His criminal history includes two convictions for assault in 2010, along with a host of petty crimes. He was twice charged with felonies – a robbery charge in 2009 and a charge of unlawful trafficking of a scheduled drug in 2013 – but he pleaded guilty to misdemeanors on both. Ali was at the Cumberland County Courthouse on Thursday for a hearing on a misdemeanor drunken-driving charge, which is usually not considered a deportable offense for immigrants. U.S. Immigration and Customs Enforcement officers detained Ali while he was meeting with his court-appointed attorney, Tina Nadeau, after the hearing. During his campaign and his first months in office, President Trump has promised to ramp up immigration enforcement. Attorneys and state officials believe Ali’s arrest is the first such detention in Maine under the new administration. Ali, who is originally from Somalia, had told Nadeau he is an asylum seeker. It is unclear how long he has lived in the United States, and his immigration status cannot be confirmed. Ali was charged with driving drunk on Feb. 28 after he was pulled over on Forest Avenue for having a light out on his vehicle. Portland Police Chief Michael Sauschuck said Friday that his department did not have any discussions about Ali with ICE. “The Portland Police Department was unaware federal officials were investigating or had plans to arrest Mr. Ali,” Sauschuck said in a press release. Cumberland County Sheriff Kevin Joyce issued a statement Friday night noting that his office was not involved in Ali’s detention, even though Ali was taken to the county jail. Jail officials said Friday that Ali does not want to speak with the media. Neighbors of his last known address, in Westbrook, said the house has been vacant for some time. A woman who answered the door at his last known address in Portland said she has lived in the apartment for one month and does not know Ali. Deqa Dhalac, a leader from the Somali Community Center of Maine, also does not know Ali. But his case has set off a flurry of phone calls and messages from fearful immigrants, she said. The answers aren’t always easy to find. It is not always clear what type of offense can result in deportation, and immigrants with permanent resident status have more protection than asylum seekers or those with temporary status. The practice of detaining people at a courthouse is controversial. It is an ICE policy to avoid detentions in “sensitive locations” like churches or schools, but that list does not include courthouses. Many asylum seekers flee their home countries because of government persecution or violence, and they often struggle to trust law enforcement in the United States. Dhalac said she is worried Ali’s arrest will make them fearful of the courts as well. Sue Roche, the executive director of the Immigrant Legal Advocacy Project, echoed that concern. For example, she said domestic violence victims might hesitate to seek protective orders at the court, or an innocent defendant might plead guilty to avoid a trial. About 12,500 immigrants from seven east African countries, including Somalia, now live in the state, according to the Immigrant Resource Center of Maine. On the same day Ali was arrested, the Somali community in Lewiston was meeting with Stephen Schwartz, the United States’ first ambassador to Somalia in 25 years. Dhalac said the meeting with Schwartz gave the Somali community hope for good relationships with government officials.